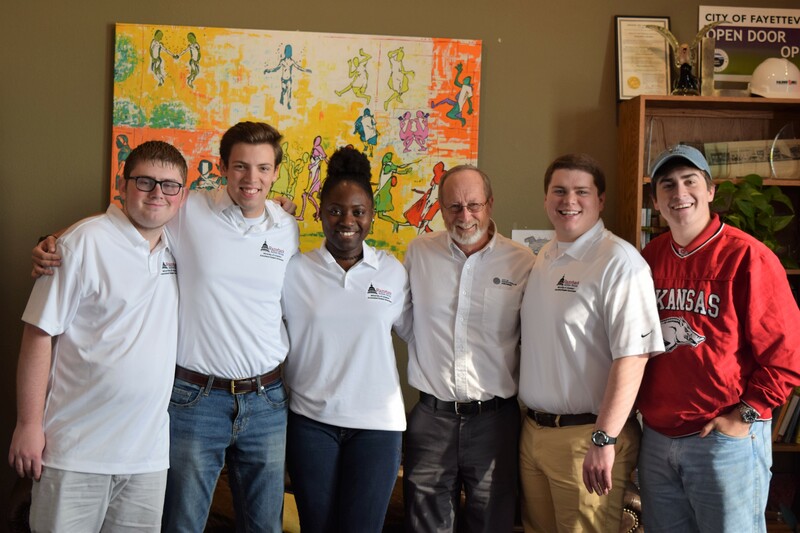 The Associated Student Government (ASG) at the University of Arkansas is a student-led organization that acts as an organized voice for all undergraduate students and strives to effectively represent undergraduate student interest. Where can I find ASG? To represent the common interests and voice of all undergraduate students, the Associated Student Government provides an educational experience of shared governance in the University’s decision and policy making process. 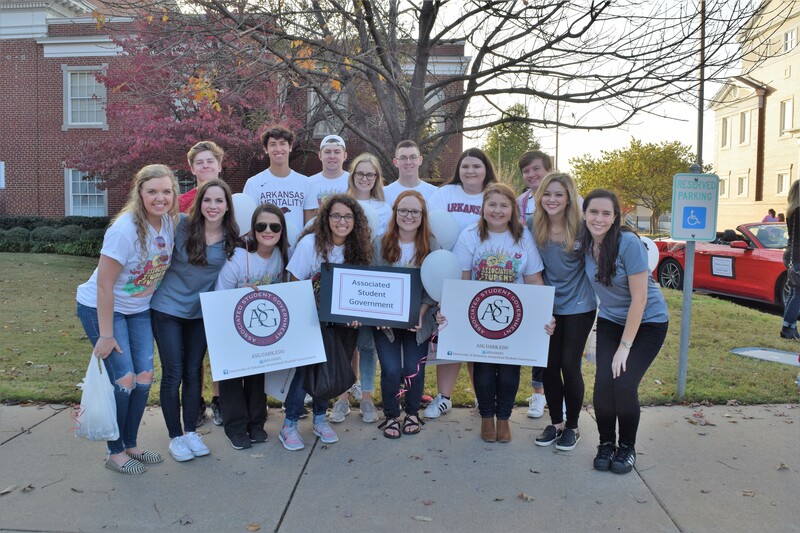 The Associated Student Government shall act as an organized voice for all undergraduate students of the University of Arkansas, to effectively represent undergraduate students in the University’s decision and policy making process and to provide a broad educational experience for undergraduate students, while promoting citizenship on campus and in the greater community. In doing so, ASG knowingly and responsibly recognizes the students’ roles in the shared governance of the University of Arkansas. ASG is composed of three branches: Executive, Legislative, and Judicial. The three branches work together to strive for the betterment of the organization and the University of Arkansas as a whole. ASG represents undergraduate student issues and ideas. ASG provides educational, social, and political programming for students. ASG provides services to the campus and greater Fayetteville community. ASG strives to improve student relations. ASG allocates approximately $250,000 to Registered Student Organizations (RSOs) each year via the RSO Office of Financial Affairs Committee. 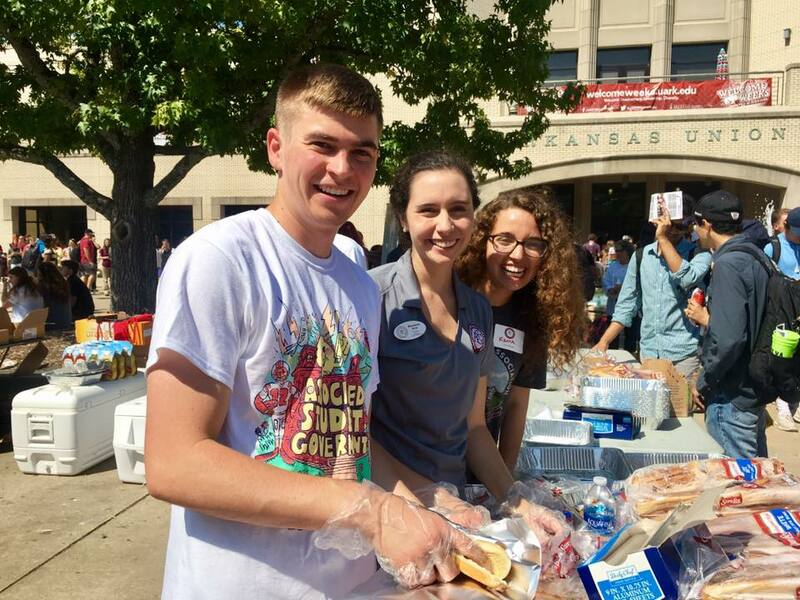 ASG provides opportunities for students to better their collegiate experience by getting involved.